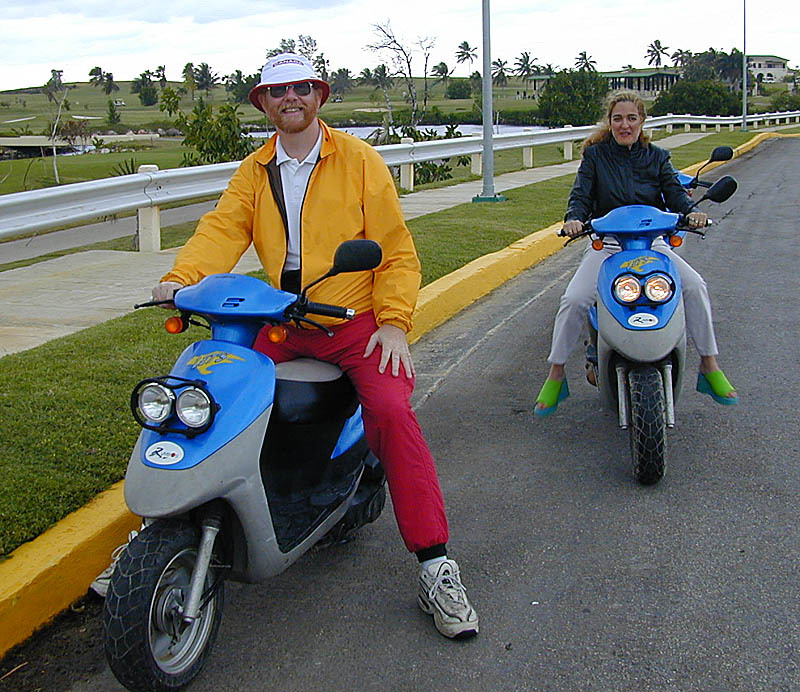 Out and about in Varadero for a scooter ride. Very popular transportation in Caribbean tourist areas, here I am on an abnormally cool January day with Senorita Magalita for a ride to see the sights of this Cuban town. Just over my shoulder is the Varadero Golf Club built on the former estate of the American industialist Irénée DuPont who in 1926 owned most of the Varadero peninsula. Notorious mobster Al Capone also had a home on the peninsula along with dictator Fulgencio Batista. To the left is Las Americas, the colonial Spanish-style mansion of Dupont who named the green-tile-roofed-mansion Xanadu. The Dupont family lived here until 1959. 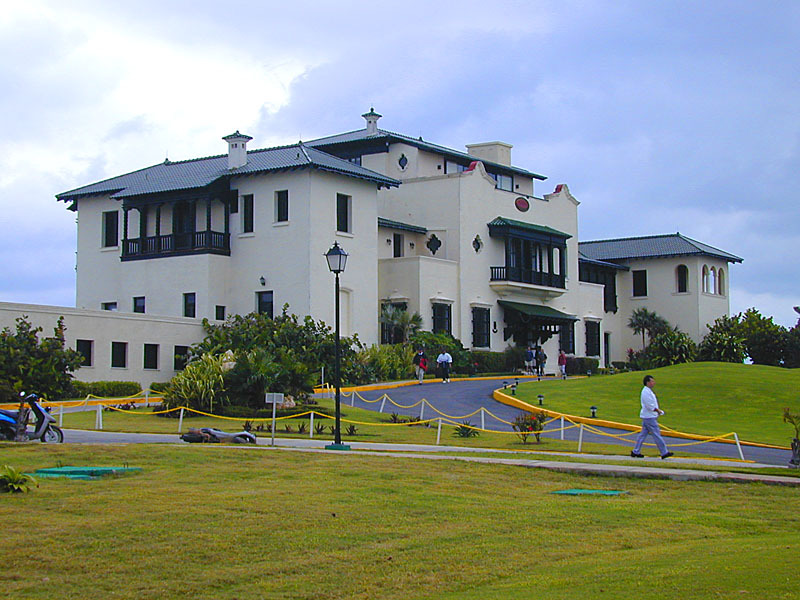 The mansion now forms part of the Clubhouse complex of the golf club.